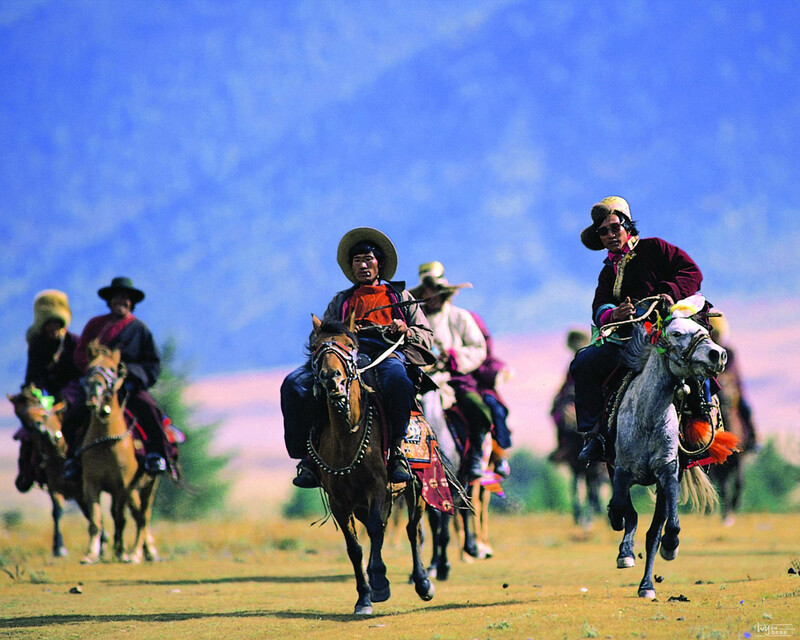 With such great outdoor sceneries, Daocheng is a perfect place for adventuring, climbing, hiking, camping, horseback riding, as well as a retreat from the busy and trivial world. A trip to Daocheng Yading could be tough and challenging, due to the relatively isolated location and difficult trekking route. But when you reach the destination, you’ll realize all hardship has been totally worthwhile. There are several sights that you should not miss on the Daocheng Yading route. Yading means "Facing the Sun" in Tibetan. 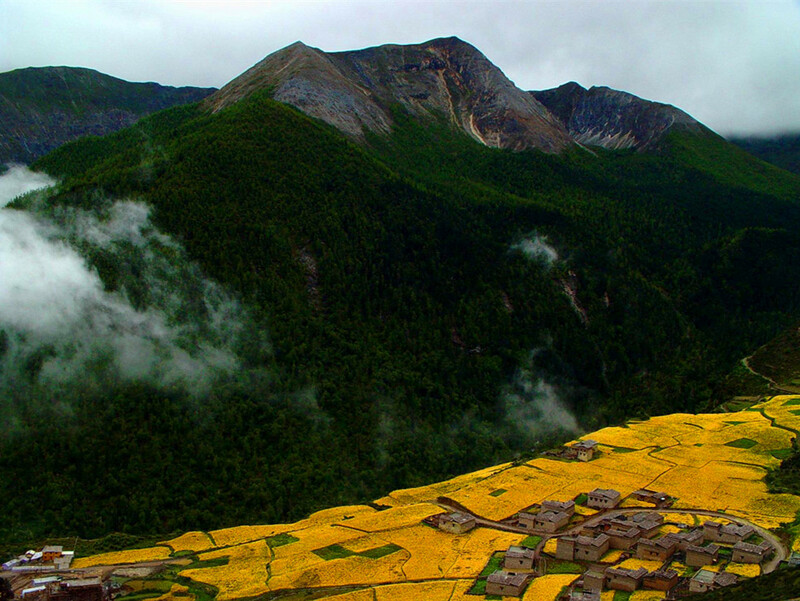 The nature reserve stands in the southern reaches of Daocheng County, where Mount Khongga (Nianqing konka Risumgongba in Tibetan) – one of Tibetan’s 24 sacred lands is towering to the sky. 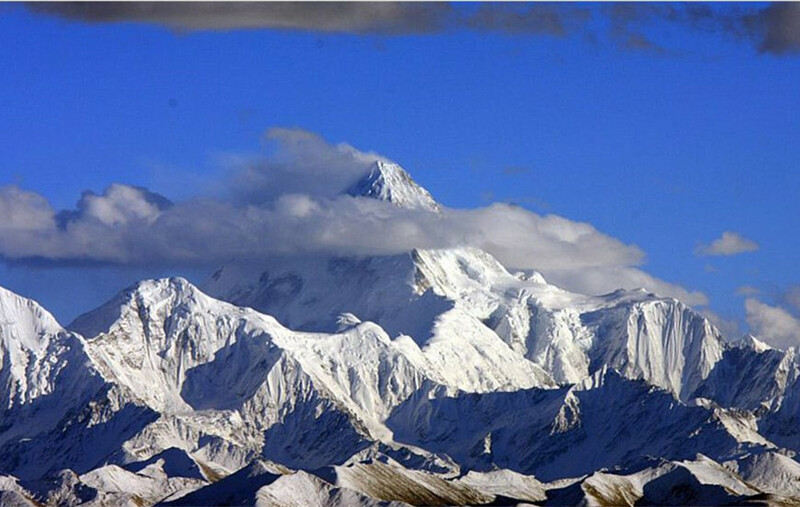 Its three holy snow-clad peaks Chenrezig, Jampayang and Chenadorje (with Chenrezig being the highest peak at 6,032m above sea level, peak Jambeyang 5958m, and peak Chandordje 5958m) call to all Tibetans and Buddhist to make a pilgrim here. 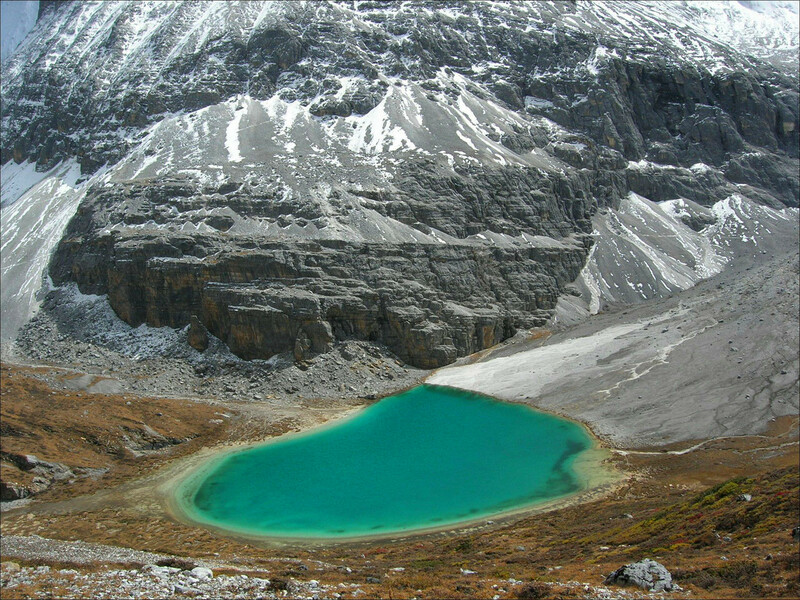 Within the Yading nature reserve, there are several pretty lakes, such as Wuse Lake (Five-colored Lake), Niunai Lake (Milky Lake) and Zhenzhu Lake (Pear Lake). Among them, the Zhenzhu Lake at the foot of Mount Xiannairi (Mount Chenresig) is the most appealing one. A walk of 30 minutes from Chonggu Monastery, Zhenzhu Lake is like a precious emerald twinkling in the forest, and an ideal place to photograph sunset and the reflection of Mount Xiannairi. Sangdui Town finds itself 28km northwest of Daocheng. A wide sweep of meadow spreads out along the highway, with the streams flowing through quietly. Look into the distance, the rolling hills are dotted with small villages, shepherds, cattle and sheep, showing us a tranquil world. 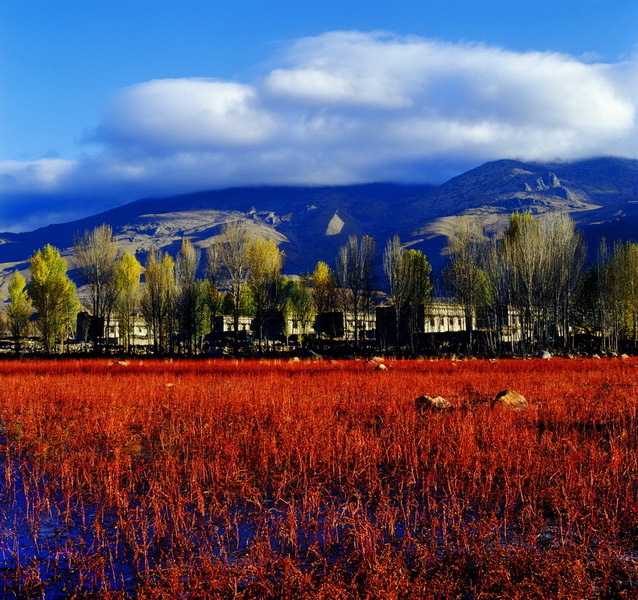 The drive to Sangdui Town takes you through charming Red Grass Land, with the lakes and marshes being teeming with bright red algae. What an impressive visual impact! This rare scene can only be seen in early October for about ten days. By air: At an elevation of 4,411 meters above sea level, Daocheng Yading airport claims to be the world's highest civilian airport. 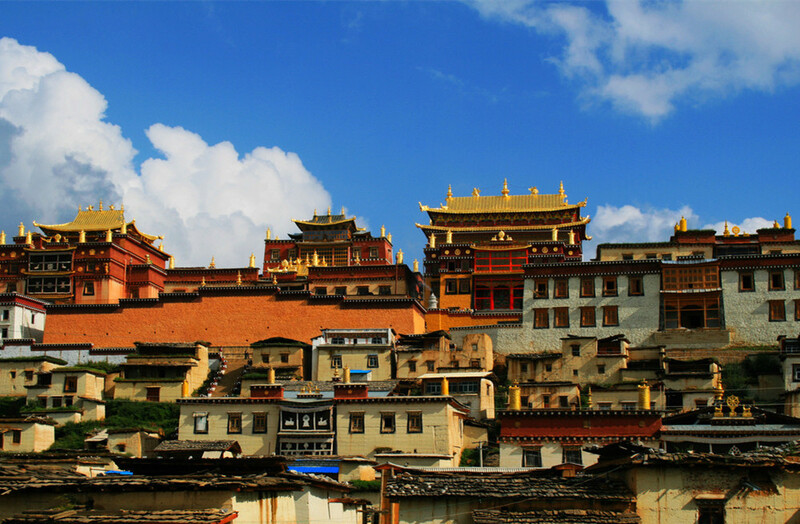 Fly from Chengdu to Daocheng Yading airport (65 minutes), then take shutter bus to Daocheng. By bus: It takes 2 days to arrive daocheng from chengdu by bus (totally 22 hours), 1.5 days from Lijiang, and 11 hours from Zhongdian, Shangri-la.